One of the things I like to do on this blog is to draw out the links between the microscopic and human worlds, and also to explain how we measure the extent of human impacts on the aquatic environment, and what we can do to reverse significant negative impacts. My professional life is largely concerned with how the evidence for these evaluations is gathered and used to arrive at decisions. Lip service has always been paid to the importance of transparency in this process but it has not always been easy to find information about the condition of your local environment. So a few months ago I was pleased to find a new website from the Environment Agency that makes this process a lot easier. 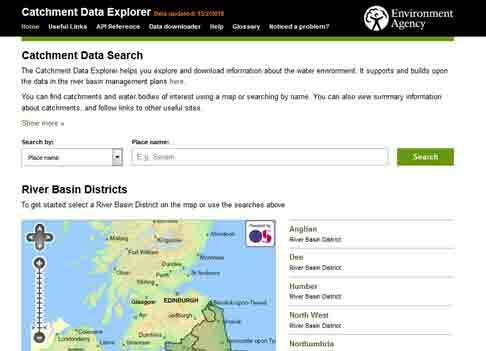 The Catchment Data Explorer starts with some intuitive navigation panes that let you search for your part of England, and then to locate particular streams, rivers and lakes and see how these match up to current environmental targets. Navigating to my local river, the River Wear, and, more specifically, to the section closest to my house (“Croxdale Beck to Lumley Park Burn”), I find a table with drop-down tabs that give a brief overview of its state. I see from this that the overall condition of the river is “moderate” and, then, by opening-up further levels, see that the various components of the ecology are all good (I’m not sure that I agree with that for the microscopic algae but that’s a story for another day) but that “physico-chemical supporting elements” are “moderate”. Classification of rivers and lakes follows the “one out, all out” rule, so it is the lowest class that is measured that determines overall status. 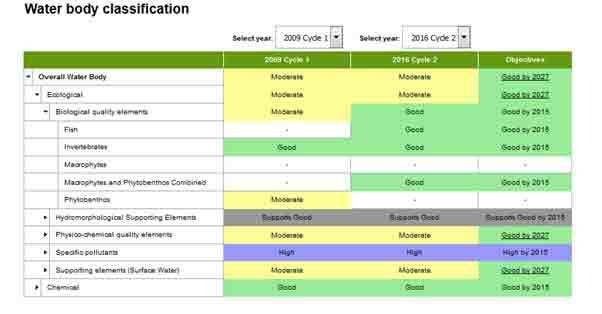 In this case, opening up the physico-chemical elements levels in the table, I see that all is well, except for phosphorus, which is moderate and, therefore, determines the classification. From here we can also download a file of “reasons for not achieving good status” in order to understand why phosphorus levels are elevated which tells us that it is waste water treatment and urban drainage that is the most likely source of phosphorus in the catchment. 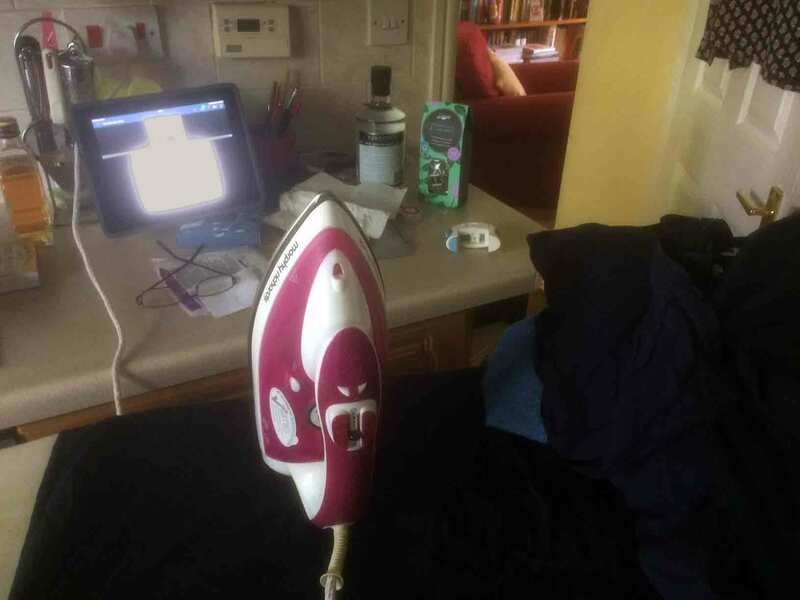 Control that and, in theory, all should be well. However, these are just two rows of 147 in a spreadsheet which deals with the lower Wear catchment and its tributaries, so the scale of overall challenge facing the Environment Agency becomes clear. Moreover, the Wear has already had over £7M investment to install phosphorus stripping from the larger sewage works, to comply with the Urban Wastewater Treatment Directive, so the potential for further improvement is already limited. Go back to the original table and look at the right hand column, which is labelled “objectives”. The ecological target is “good by 2027”; however, if you hover the cursor over this, a box pops up telling you that this is “disproportionately expensive” and “technically infeasible”, invoking the WFD’s notorious “Get Out of Jail Free” card which lets countries bypass the need to achieve good status in certain specified situations (clause 4 paragraph 5 – “Less Stringent Objectives”). Water body classification information from the Catchment Data Explorer for the River Wear, between Croxdale Beck and Lumley Park Burn. All good so far. The problems come when you start burrowing deeper into the Catchment Data Explorer and, in particular, when you download data. There is a lot of information in Excel spreadsheets (which is great); however, it is riddled with jargon and not very well interpreted. Then there are some apparent contradictions that are not explained. I searched for one stream that interested me, and found the overall ecological status to be moderate, despite the status of the fish being poor. There is probably a good reason for this (perhaps there was low confidence in the data for fish, for example) but, again, it is not very well explained. Then there are those water bodies that are, apparently, “good status” but, when you delve deeper into the Catchment Data Explorer, you find that there is no evidence to support this. This is a surprisingly common situation, not just in the UK but across Europe. The phrase “expert judgement” is invoked : probably meaning that someone from the local Environment Agency office went along for a look around and could not see any obvious problems. It seems to be used, in the UK at least, mostly for smaller water bodies and is probably a pragmatic decision that limited resources can be better used elsewhere. These are relatively minor niggles when set against the positives that the Catchment Data Explorer offers. There is already quite a lot of information in the Help pages, and there is also a Glossary, so you should be able to work out the situation for your local water bodies with a little patience. A struggle with terminology is, perhaps, inevitable, given the complexities of managing the environment. We would all do well to remember that. Having talked about diversity on a microscale in the previous post, I thought it would be interesting to place this in context by looking at the variations that I have observed in the River Wear at Wolsingham over the past decade or so. The River Wear has seen some significant improvements in water quality over this period, but those have mainly affected sections of the river downstream from Wolsingham. Most of the changes at Wolsingham are, therefore, giving us some insights into the range of natural variation that we should expect to see in a river. I’ve got 31 samples from the River Wear at Wolsingham on my database, collected since 2005. Over this period, nine different diatom species have dominated my counts: Achnanthidium minutissimum on 21 occasions, Nitzschia dissipata twice and Cocconeis euglypta, Encyonema silesiacum, Gomphonema calcifugum, Navicula lanceolata, Nitzshia archibaldii, N. paleacea and Reimeria sinuata once each. I also have records for non-diatoms during 2009, during which time the green alga Ulothrix zonata, and two Cyanobacteria, Phormidium retzii and Homeothrix varians were the dominant alga on one occasion each. In total, I have recorded 131 species of diatom from this one reach, although only I’ve only found 91 of them more than once, and only 59 have ever formed more than one percent of the total. I’ve also got records of 22 species other than diatoms. This – along with my comments in “The mystery of the alga that wasn’t there …” raises questions about just how effective a single sample is at capturing the diversity of algae present at a site. . In 2009 I collected a sample every month from Wolsingham and the graph below shows how the total number of species recorded increased over that period. Typically, I find between 20 and 30 species in a single sample, and each subsequent month revealed a few that I had not seen in earlier samples. Importantly, no single sample contained more than 40 per cent of the total diversity I observed over the course of the year. Part of this high diversity is because of the greater effort invested but there is also a seasonal element, as I’ve already discussed. The latter, in particular, means that we need to be very careful about making comments about alpha diversity of microalgae if we only have a single sample from a site. Increase in the number of diatom taxa recorded in successive samples from the River Wear at Wolsingham. In 2009 samples were collected monthly between January and December whilst in 2014 samples were collected quarterly. This seasonal pattern in the algal community also translates into variation in the Trophic Diatom Index, the measure we use to evaluate the condition of streams and rivers. The trend is weak, for reasons that I have discussed in earlier posts, but it is there, nonetheless. 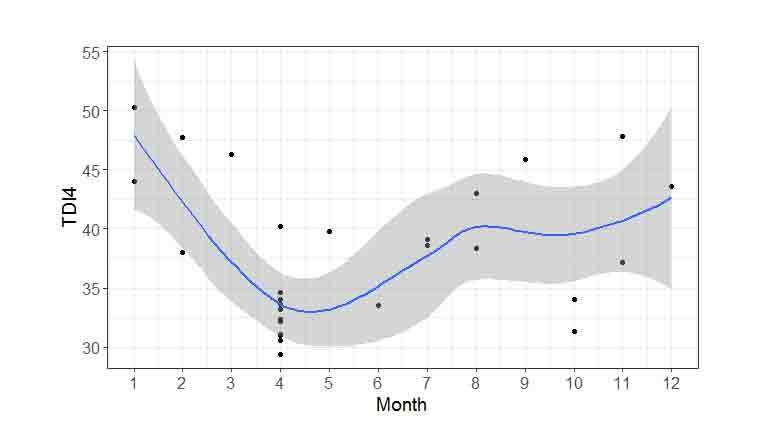 Not every river has such a seasonal trend and, in some cases, the community dynamics results in the opposite pattern: higher values in the summer and lower values in the winter. It is, however, something that we have to keep in mind when evaluating ecological status. Variation in the Trophic Diatom Index in the River Wear at Wolsingham between 2005 and 2015, with samples organised by month, from January (1) to December (12). The blue line shows a LOESS regression and the grey band is the 95% confidence limits around this line. All of these factors translate into uncertainty when evaluating ecological status. In the case of the River Wear at Wolsingham, this is not particularly serious as most of the samples indicate “high status” and all are to the right of the key regulatory boundary of “good status”. 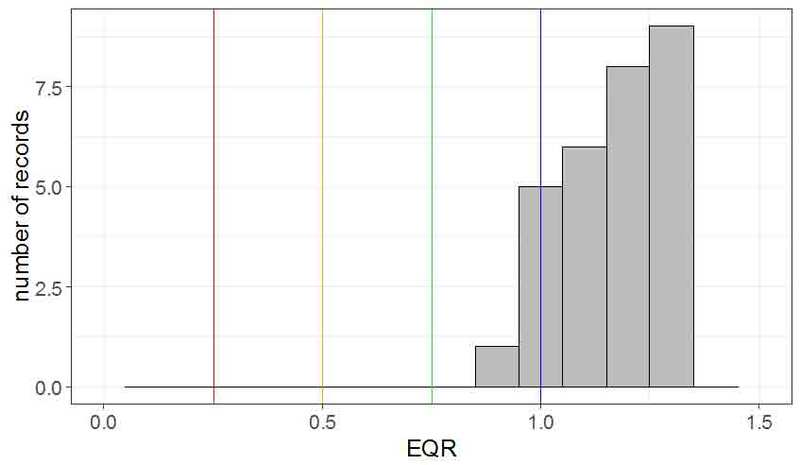 However, imagine if the histogram of EQRs was slid a little to the left, so that it straddled the good and moderate boundaries, and then put yourself in the position of the people who have to decide whether or not to make a water company invest a million pounds to improve the wastewater coming from one of their sewage treatment plants. At this point, having a long-term perspective and knowing about the ecology of individual species may allow you to explain why an apparent dip into moderate status may not be a cause for concern. Having a general sense of the ecology of the river – particularly those aspects not measured during formal status assessments – should help too. It is quite common for the range of diatom results from a site to encompass an entire status class or more so the interpretative skills of the biologists play an important role in decision-making. Unfortunately, if anything the trend is in the opposite direction: fewer samples being collected per site due to financial pressures, more automation in sample and data analysis leading to ecologists spending more time peering at spreadsheets than peering at stream beds. 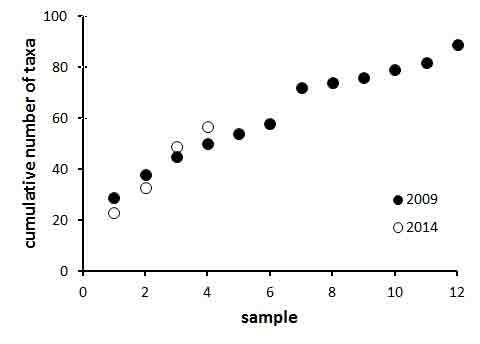 Ecological Quality Ratio (EQR: observed TDI / expected TDI) of phytobenthos (diatoms) at the River Wear, Wolsingham) between 2005 and 2015. Blue, green, orange and red lines show the positions of high, good, moderate and poor status class boundaries respectively. Writing the previous post led me to contemplate how much things had changed over the time that I have been working in this field. Back in the early 1990s when I first set out to look at the response of diatoms to nutrients in streams, few in the National Rivers Authority (NRA, predecessor to the Environment Agency) regarded phosphorus as a serious pollutant in rivers, and most biologists thought about ecological quality solely in terms of organic pollution and invertebrates. In order to investigate the effect of nutrients, I wanted to visit sites where organic pollution was not a problem. I was helped in this task by the work done by biologists at the then Institute for Freshwater Ecology (now Centre for Ecology and Hydrology) who had just developed the early versions of RIVPACS (“River Invertebrate Prediction and Classification System”) which established the principle of expressing ecological quality as the observed quality / expected quality. This, in turn, required an ability to predict the “expected” condition for any stream. The work that had developed these equations started from a dataset of invertebrate and environmental data collected from a wide range of “unpolluted” running water sites which, in those far off days, was compiled by asking biologists working for the Regional Water Authorities (predecessors to the NRA) for their recommendations of sites that were of “good” or “fairly good” quality. Nowadays, screening sites to be used for calibrating ecological methods is a much more rigorous procedure but this was the first tentative step on a long journey and “expert judgement” was as good a place to start as any. The paper that emerged from this exercise (see reference below) analysed data from these “unpolluted” sites and classified them into eight groups. Each of these groups consisted of sites that shared similar invertebrate assemblages which reflected similarities in the habitat, from upland, fast flowing becks to deep, wide slow-flowing rivers in the lowlands. 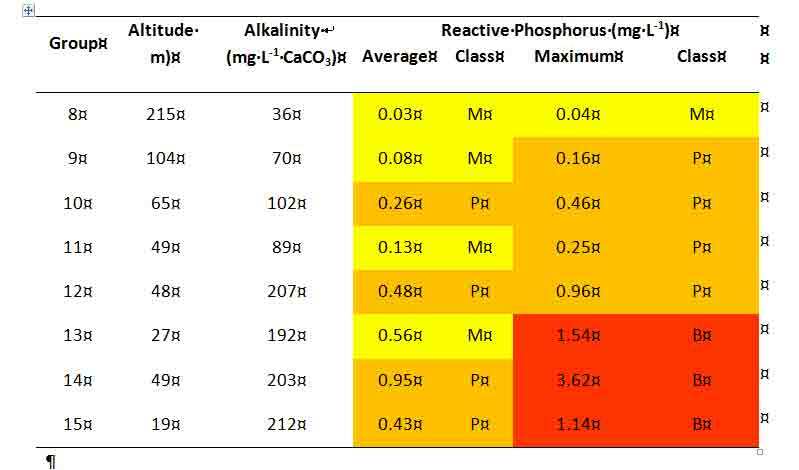 The authors included a useful table that listed the physical and chemical characteristics of each of these groups and I noticed that the phosphorus concentrations reported for these spanned a very wide range. This meant that I could use these as the basis for putting together a sampling program that spanned a long gradient of nutrient pressure without the complications of organic pollution. The outcome of that work was the first of the two papers referenced in my previous post. Time has moved on and I thought it would be interesting to revisit these “unpolluted” sites to see how they would be classified using the UK’s current standards for phosphorus. This highlights a striking difference between the prevailing idea of “unpolluted” in the early 1980s and the present day, as all of these groups had average concentrations that equate to substantial enrichment by modern standards; in half the groups this average concentration would be classified as “poor status” whilst the maximum concentrations in three groups equates to “bad status”. Whatever way you look at it now, these sites were far from “unpolluted”. Classification of TWINSPAN end-groups of unpolluted river sites in Great Britain based on Armitage et al. (1984) along with average and maximum phosphorus concentrations recorded in each group and the phosphorus status based on current environmental standards. M = moderate status; P = poor status; B = bad status. I am not being critical of the approach taken by Patrick Armitage and colleagues. In many ways, I regard the work of this group as one of the most significant contributions to the science of ecological assessment in my lifetime. I am just intrigued to see how the thinking of ecologists and regulators has moved on in the thirty years or so since this paper was published. I know from my own early conversations with NRA biologists that inorganic nutrients were not perceived as a problem in rivers until the early 1990s. It was probably the European Community’s Urban Wastewater Treatment Directive (UWWTD) that started to draw the attention of biologists in the UK to these problems, and which led to the development of stricter environmental standards for nutrients, though not without opposition from several quarters. Armitage, P.D., Moss, D., Wright, J.F. & Furse, M.T. (1984). The performance of a new biological water quality score system based on macroinvertebrates over a wide range of unpolluted running-water sites. Water Research 17: 333-347. You said something in your speech to the Conservative Party conference earlier this week that intrigued me, and I wondered if you would mind explaining exactly what you meant? Of course, I may be reading too much into your words, which I only heard your talk because I was up stupidly early, and listened to Farming Today over breakfast. My ears pricked up when I heard you say: “I’m truly excited that our departure from the EU means we can develop policies that are tailored to our most precious habitats and wildlife not a one-size-fits-approach for 28 Member States.” Those are fine words but, I’m afraid I need to push you for some details. I’ve done a lot of work on the implementation of EU environment policies over the past quarter of a century and I’m not absolutely sure where your idea that EU environment policy adopts a “one-size-fits-all approach” comes from. The Water Framework Directive, for example, sets out general principles to ensure sustainable water supplies for Europe in the main text, but the extensive annexes give considerable scope for each Member State to tailor these principles to their own circumstances. Even to drop the phrase “one-size-fits-all” into your talk suggests to me that you have not mastered your brief and that fills me – and other environmental professionals – with a sense of foreboding about the future of the UK environment. However, you have not been doing the job for very long so we should give you the benefit of the doubt. Your talk was strong on fine-sounding words but rather short on specifics. So an easy solution to the problem may be for you to give us just one example from each of the Habitats and Water Framework Directives explaining the type of changes that your department will be looking to enact to strengthen environmental protection over and above the provisions of existing legislation. Of course, I note that you said “… we can develop policies…” rather than “… we are developing policies …” but I am sure that you would not have said this if there were not civil servants within DEFRA currently considering just this type of option. It is hardly an issue that is going to affect Brexit negotiations so you don’t need to resort to Theresa May’s argument of the need for discretion, and it will surely enhance your credibility among those voters who are genuinely concerned about wildlife and the environment. One problem that I have is that you, and fellow Brexiteers, put a lot of emphasis on the red tape that Brussels generates. Environmental and wildlife legislation often needs a “carrot” and a “stick” and that “stick” can very easily be interpreted by those on the receiving end as “red tape”. A legitimate reading of your suggestion is that farmers and water companies may be subject to more, not less, regulation as a result of our exit from the EU. That is counter-intuitive, given all that you, Farage, Gove and others claimed during the referendum campaign and is going to take some explaining, if it really is the case. Once again, a couple of examples of what these new policies will look like will reassure us all. And this brings me onto my final point: enactment of both EU policy and of your vision will only work if there are properly resourced regulators and, in my experience, the Environment Agency and Natural England have been struggling over the last few years. Better environmental management will, of course, need more high calibre and well-resourced staff in both agencies. Please don’t roll out that tired old mantra of greater efficiency: there is only a finite number of times this can be used before it loses credibility and, I am afraid, your predecessors have squeezed this particular argument dry.